Mathematically proficient students make sense of quantities and their relationships in problem situations. They bring two complementary abilities to bear on problems involving quantitative relationships: the ability to decontextualize--to abstract a given situation and represent it symbolically and manipulate the representing symbols as if they have a life of their own, without necessarily attending to their referents—and the ability to contextualize, to pause as needed during the manipulation process in order to probe into the referents for the symbols involved. Quantitative reasoning entails habits of creating a coherent representation of the problem at hand; considering the units involved; attending to the meaning of quantities, not just how to compute them; and knowing and flexibly using different properties of operations and objects. What are the benefits of allowing newcomer students to use their home language during math class? How does Ms. Segura scaffold the instruction throughout the lesson? What does Ms. Segura learn about the language demands of this lesson, and how does she use that knowledge to alter her instruction for the next class? I work with Newcomers as well. I love the idea of the participation quiz as a strategy to help students stay focused during group work and to encourage rigorous discourse. This is a great lesson to address MP2 as the students are making sense of the situations and connecting it to the t-tables. I also love that you are regularly having students work in groups, which is both culturally relevant and provides opportunities for discourse. I am going to start to implement both the participation quiz and the group roles in my practice. Do you have any more tips on how you implement the participation quiz? It seems reasonable to provide translations so they can internalize information. The teacher did realize that more vocabulary development was needed and planned to adapt the next lesson accordingly. I like and will adopt the role cards for my groups. Working with a high EL population myself, I really appreciated this video. I liked how the teacher allowed students to use their native language so that they could focus on the math. However, the teacher did not let the students off the hook. They had to know what the English terms meant in context. She also spoke to them in English in response to their questions. I find myself responding in Spanish to Spanish speaking students. I realize after this video that while my focus is on the math, I am doing my students a disservice in translating everything. 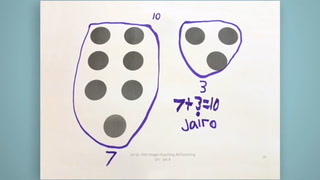 As for the common core demonstrated in this video, I found it relates to F-IF.9 which focuses on "analyzing functions using different representations." This could be a good introductory activity for my Integrated Math 2 students to try to reason abstractly, which is Standard for Mathematics Practice #2. Your ah, ha moment of realizing that next time you will review each of the scenarios and explain any vocabulary that is unfamiliar to the students was meaningful. I am going to ensure that I provide this scaffolding, as well, for my students. Great ideas! The use of the students's home language supported the collaborative discussions for students who are newcomers. Patricia Segura: So you're going to have a story and you're going to have a T-table together. Today you're looking at, what is happening with the numbers. Patricia Segura: So today we're going to do a big task. Patricia Segura: My name is Patricia Segura. Patricia Segura: I teach algebra primarily to newcomers at Fremont High. 62% of ELLs at Fremont High School. Patricia Segura: Newcomer kids are students who've been in the country for less than a year. Patricia Segura: You're going to have little cards with stories. Remember, we've been doing stories like Anna walking to the store, yes? So today, we're going to talk about Ken. Ken is a name, so don't get confused. Ken is a name. Patricia Segura: The biggest challenge in teaching the newcomer population is the extremes of education that we face when they come to us. 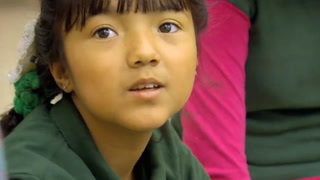 We have kids who've maybe attended first or second grade in the same classes that we have students who've attended to eighth grade in their primary language. We've taken that and we've kind of cohorted students to have a closer range as to where their skills are. Patricia Segura: Resource manager, where are you? Resource managers? Good, good, thank you Kaylie. All right. Patricia Segura: They've been practicing reading graphs and what they needed to do now is make the connection between the situation, basically the story, and the T-table that was provided with them. So they were just making pairs of T-tables and situations and then we're going to build up on adding on the graph. Patricia Segura: -- the story is a situation-- to a T-table. Your T-table, okay? 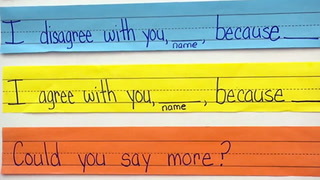 Second, you're going to explain your reasoning to the matching to the teacher. So when you're finished with all five, raise your hand. I will come, ask you. You explain your rationale. Patricia Segura: At this grade level, we try to make a lot of connections with real life situations. We've been using a lot of examples around, if you wanted to see how much money you spent paying your phone bill for six months. So they're able to derive different things from the T-table, given a real life situation. Patricia Segura: The resource managers, you guys are going to ask the questions today. Remember, when you have a group question, you are responsible of raising your hand. Okay. Patricia Segura: We look at the Common Core. There's a lot of vocabulary and words in there that the student yet are to learn, so sometimes I scaffold the instructions or scaffold the actual materials. Today, I took out a whole page of the instructions and I just set three bullet points of what I wanted to do, rather than have them sit and try to decipher a page of instructions. Patricia Segura: While you are matching up the cards, Miss Segura is going to be doing a participation quiz. Patricia Segura: The participation quiz is a way to document what student participation looks like in both positive and not so positive, to be able to redirect students when they're not doing what they're supposed to be doing, and to capture any academic language that they're utilizing as a support, as a scaffold for other students to be able to see what they're saying and use it within their conversation. Patricia Segura: You may start when you get them. 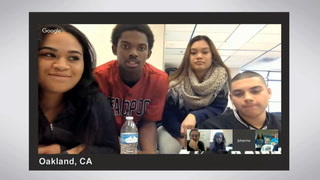 Patricia Segura: The math team at OUSD has been working more with Common Core to do a lot of student centered learning, where we do a lot of things in group, and we have a lot of elaborate tasks, like the one from today, where students dive in. Patricia Segura: Ladies, I love what's happening here. Can you bring in the other two girls? Can you explain what you're saying here to them, so that they understand? Yes? Patricia Segura: Today the leap was going from a situation to a T-table which they had not experienced before. If I would have given them the graph, I think they would have made a much clearer connection faster, but that would have derailed from trying to make that connection with the T-table. Patricia Segura: So you're asking, how are we going to get the numbers from here, yes? Okay, so Ken is a person, and they are different stories, okay? It's not the same. Patricia Segura: What was last time? You're doing pairs. Paris is two. So you need to look at the story and then remember, like Anna, it was increasing, then decreasing, right? So you need to look at the numbers. Are the numbers going up? Are the numbers going down? Right? And look at the story. What does it mean? You go to the story, you understand the story. Patricia Segura: And you buy some chips. Use oral, written and physical cues. Patricia Segura: Right, in the past. Patricia Segura: No, in the past. "Bought" is "buy" in the past. Patricia Segura: Yes. So you know the words, but you don't know the past tense. Very good. I like how you articulated that. So start, started. It's in the past. Patricia Segura: There was a couple of things happening which was really clear, made clear by group four, where one of the students said, "I don't understand the story because everything is in the past tense." So they've learned the words of the scenarios in the present tense, but not in the past tense. And once I started deciphering certain, they were able to make that connection. So that's something I didn't foresee happening. Patricia Segura: The benefit of allowing them to speak their primary language is that they were producing the math. I was able to hear the conversations that were happening and they were learning. They were learning, they were engaged. They were picking up things very fast and they're very analytical. It came out in their Spanish. Patricia Segura: Okay. So this is where he starts. Patricia Segura: I realized that I should have gone through each one of the scenarios and clarified any vocabulary that they didn't understand prior to presenting the situations to each group. The next class that I taught, I changed the lesson, that I frontloaded those stories and situations, that they were able to decipher the T-tables much faster. Student: We think they came the first time. They're going to on this time the 40. He going to back of the four in the second time. Patricia Segura: What do you mean, "he goes back?" Patricia Segura: We are early on in the year and the students just arrived maybe five, six months ago to this country and they've been in school for two months. So given that they will experience eight more months of this on a daily basis, by the end of the school year, these students will be asking questions in English and they will be answering questions in English, both written and oral? Student: Pay more attention for T-table and this. Patricia Segura: Okay, so pay more attention? Patricia Segura: It's been a journey to learn how to work with these students and teach these students. I've been doing trial and error for the past couple of years and it's just become an art of what you do, day in, day out, and just try to find the best way to meet each one of the student's needs at the time, to both serve them in their language and their mathematical skills. Patricia Segura: So from my observations, I would like to hear more talking from everyone. Maybe two people were doing a lot of the talking and the other two listening. And always, your practicing of English, okay? Thank you for your work together and we'll continue tomorrow. Okay? Thank you.